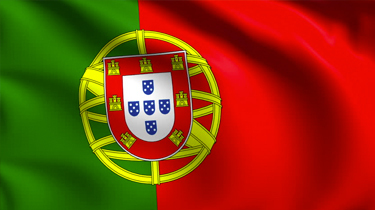 If you're an EU national, you don't require official approval to live or work in Portugal, although you still require a residence card (autorizaao de residencia). If you visit Portugal to look for work, you have 180 days in which to find employment or establish a business and apply for a residence card. EU nationals who come to Portugal to work for a period of less than three months and seasonal workers whose work duration doesn't exceed eight months, don't require a residence card. Employees whose work period will last more than three months and less than 12 months require a temporary residence permit valid for the duration of their employment contract If the contract is extended, but the total (cumulative) period doesn't exceed one year, the residence card will be extended for a period equal to the work extension. If the cumulative work period exceeds one year, the renewed residence card will automatically be valid for five years. Social security contributions are payable on a ll salaries, wages, bonuses and other regular income, excluding lunch subsidies. No ceiling applies to the amount of wages subject to social security contributions for employers or employees (however, see below for the rule regarding members of a company's governing body). The employer's share is 23.75%, and the employee's share is 11%, of salaries. An employer must deduct an employee's contribution and pay the total amount by the 20th of the following month. A self-employed individual engaged in a business or professional activity is subject to monthly social security contributions calculated on a base preselected by the individual, which varies between 1 and 12 times the monthly notional salary. Currently, the monthly notional salary is €419.22.